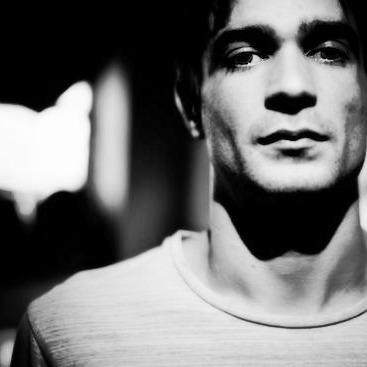 This summer saw the release of ‘Immunity’, the 5th studio album from the Electronic producer, Jon Hopkins, and after collaborations with King Creosote and Brian Eno, it has been a long awaited 4 years since previous solo work. However, the thorough attention to detail and musical ingenuity of this album legitimizes, at the least, the delay. Like ‘Insides’ the complex and abstract artwork design of ‘Immunity’ entirely reflects the obscure music that it accommodates, so the anticipation for a similar solo album to its predecessor was an exciting prospect. The early release of ‘Open Eye Signal’ was a clear indicator of the unique and exclusive style that Jon has adapted. From ambient melodies to caustic electronic beats, Hopkins holistically captures a truly abnormal sound, contrary to that of the current electronic scene. The influence of Brian Eno is apparent in such songs as ‘Abandon Window’, where he typically infuses light, ambient tones with an aggressive backing composition; a contradictory concept that conveys the variety in style that Hopkins produces. It is also evident that the song ‘Immunity’ itself shows strong connections to his ‘Monsters Soundtrack’, a breathtaking amalgamation of piano and euphoria; a genius blend. The album, though, isn’t without the intense build-ups and subtle tone variations, in ‘Collider’ and ‘Sun Harmonics’ that keep all those listening, utterly submerged in an array of musical ecstasy. Still, Immunity is certainly not for everyone, specifically those who look to this genre for club classics, or generic, repetitive beats. The album is seen to be in three parts, spanning from intense techno beats, to lounge chillers, to atmospheric ambience, and so for those who want to be taken on an aural journey around the depths of their meta-physical emotions, this is an essential listen, as the absolute precision and passion that has gone into this album is truly special, and each track is a work of art in its own right. An instant masterpiece.